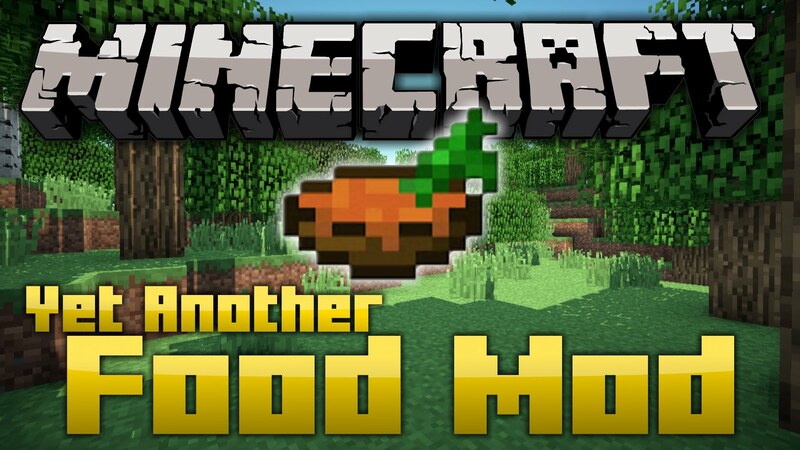 Yet Another Food Mod 1.11/1.10.2 adds several new food recipes to fill in a few gaps in vanilla. 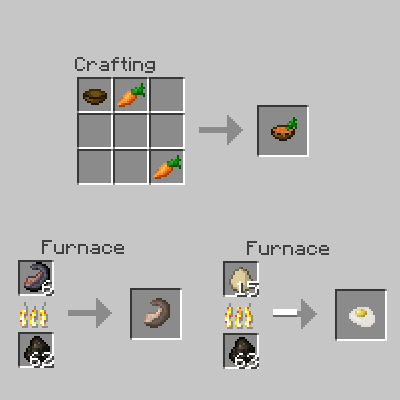 Adds a smelting recipe for Egg –> Fried Egg (0.35 experience, same as other food recipes). 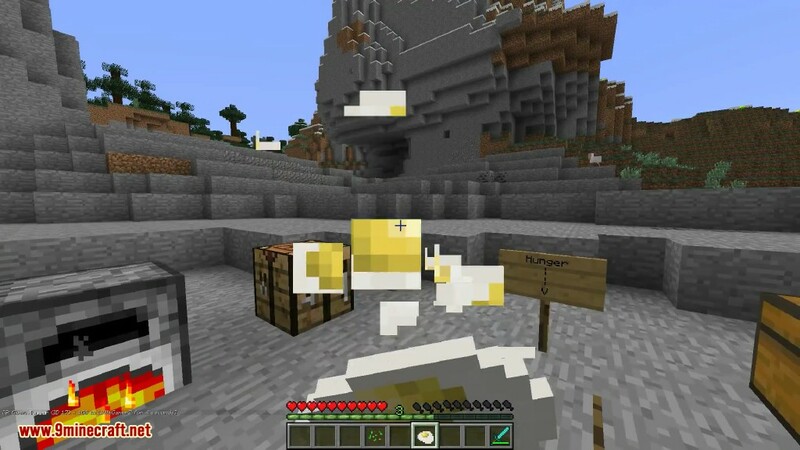 Fried Egg coincidentally has the same stats as Bread, except that it can be used to feed wolves (can’t be any worse for them than Rotten Flesh, right?). 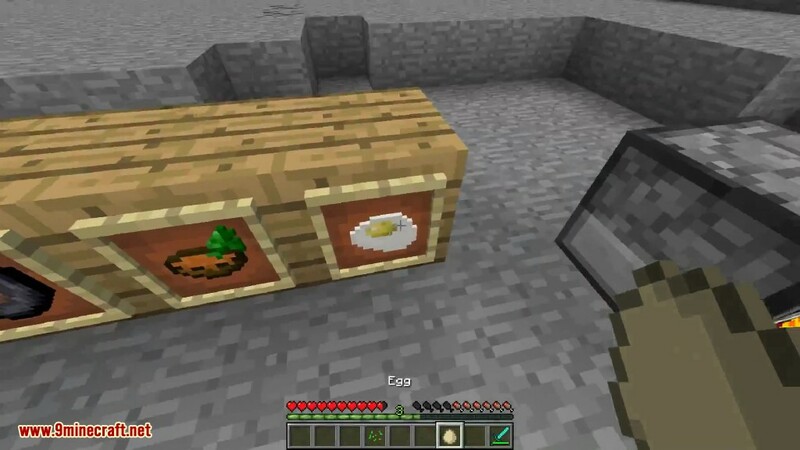 Of course, the item ID of “Fried Egg” is configurable in 1.6.4 versions (default is 9754). 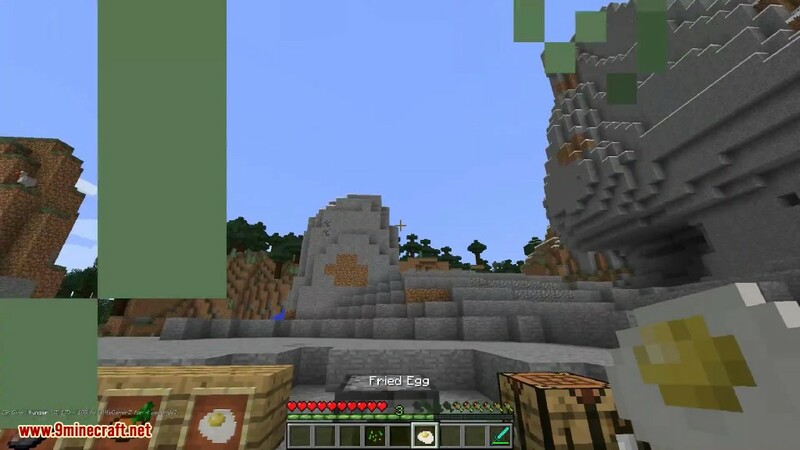 You can also disable the recipe for “Egg” –> “Fried Egg”. 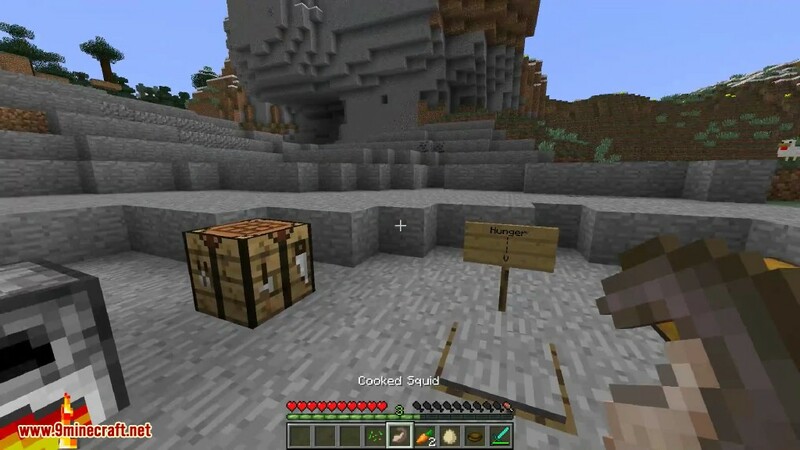 This only disables the recipe, it doesn’t do anything with the item itself. Gives sheep the ability to drop mutton upon death with the same strength as beef. 1) cows drop a base 1-3 beef on death. 2) with Looting N on the weapon, cows drop an additional 0-N beef. 3) baby cows don’t drop beef. 4) cows don’t drop beef when the “doMobLoot” rule is off. 5) cows drop cooked beef on death if they were on fire. 6) cows drop raw beef on death if they weren’t on fire. All 6 of these rules apply to sheep dropping mutton as well, when this is enabled in the config (it’s on by default). 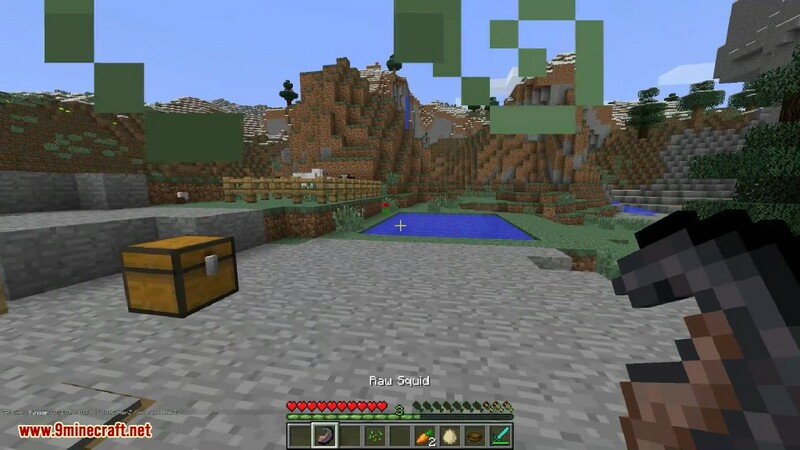 Disabling this only stops mutton from dropping off of sheep, it doesn’t remove it from the game. Does the same thing for squids as it does for sheep. Their meat is the same strength as chicken, but with the same drop rate as beef. You won’t see this quite as often, but they will indeed drop cooked squid if they’re on fire when they die. Adds a recipe to make carrots a slightly more desirable crop. 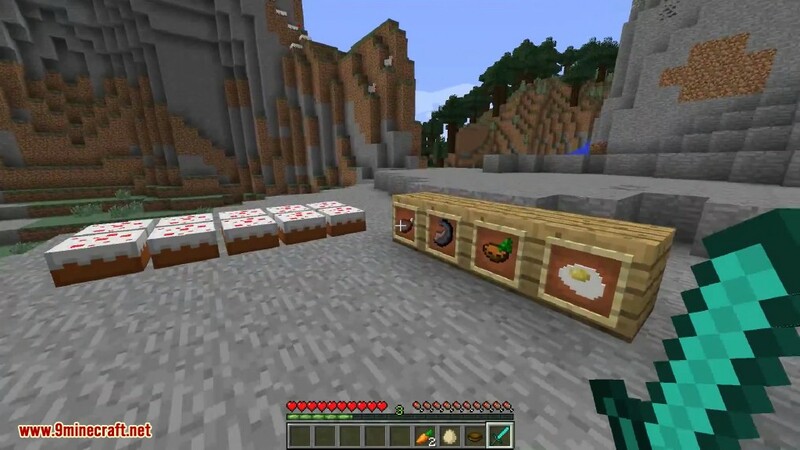 As always, the item ID is configurable in 1.6.4, and you can disable the recipe if you don’t want it. 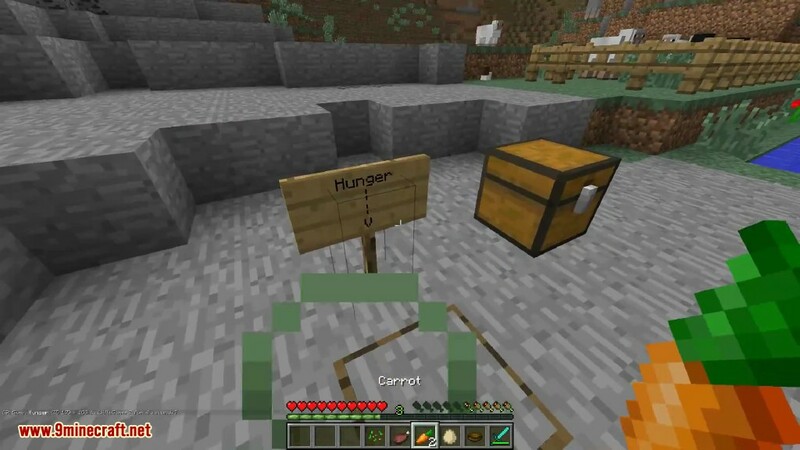 Put two carrots and a bowl into the crafting grid in any configuration, and you’ll create Carrot Soup! Eating one serving of Carrot Soup restores the same amount of hunger as eating a Carrot, with slightly more saturation, but each bowl contains three servings. This gives carrot crops effectively a 50% buff, which puts them on par with potatoes for farming. The choice between the carrot crop and potato crop is now which inconvenient drawback you want to deal with: do you want to have to run all the way to a furnace, get fuel, and wait (potatoes), or do you want to have to deal with managing bowls and stacks, but be able to do it in the field? 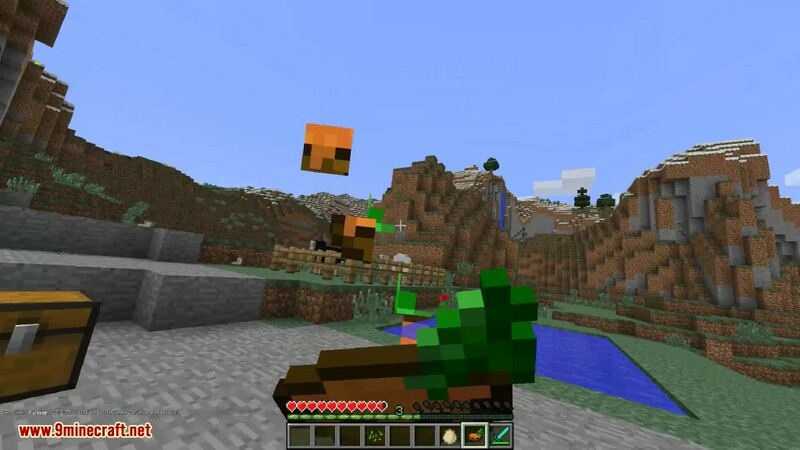 Make sure you have already installed Minecraft Forge and Airbreathercore.